I can’t stand it anymore, I have to count down the weeks until freedom. The first date til the next federal election can be called without a trigger (double dissolution and such … ) is 6 August 2016. The LATEST date an election can be called is – wait for it … 14 Jan 2017. Arrrghhh!!! Horrifying. So here is my chart that counts down until the earliest date. From 1st January there were 83 weeks. Federal Election last Saturday, 7th Dec. Liberals won, with Tony Abbott as leader. Can you believe it? He is a catholic anti abortion, climate change sceptic conservative. Just what the world needs in 2013! So now we go into hibernation for 2 to 6 years, while we wait until Tony Abbott is dumped by his own party and hopefully the Libs themselves get dumped by Australia and we get back to the party that truly WAS born to rule, the ALP, in coalition with the Greens. WHEN WILL WE DECIDE TO SAVE OUR PLANET??????? At least our local member, Catherine King, got re-elected, and she is ALP. So that feels good, my local member is ALP. 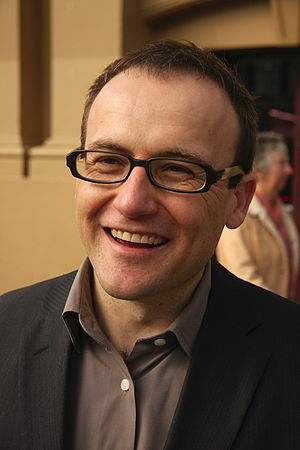 And Adam Bandt for Greens was re-elected in the seat of Melbourne, and Vic also elected a second Greens senator. Fantastic for the Greens. To quote Bob Brown, ‘the environment will win in the end, one way or the other’.